Spencer investigations yelp | Spencer Elrod Services, Inc. I have always thought that the Yelp “model” works more or less for high volume businesses such as restaurants where over time fairness and averages reflect consumer experience. 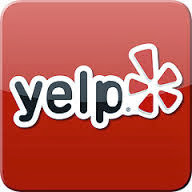 Where Yelp tends to fail is with service businesses such as ours. Keep in mind that for employing private investigators, not a lot of consumers want to go onto social media and tell the world about their divorce, wayward children or perhaps another difficult personal situation. By and large though, we have been treated pretty fairly on Yelp. As a partner in the business who answers the phones, I am acutely aware that every time the phone rings it could be a new customer. As much as I would like to help everyone, I think it’s more import to be honest and to admit when we can’t help someone or if we are just not a good fit. I even go as far as to recommend other local private investigators if I think they are a good or better fit. I wanted to share a couple of recent reviews from actual clients. For whatever reason, the Yelp “filter,” some sort of algorithm that Yelp never quite adequately explains, removed a couple of our recent and legitimate reviews. Yelp has long been the subject of accusations of shady business practices, including extortion against small business. A great solution to that not-so-great question about spousal infidelity. Thoughtful, caring, and professional service, highly recommend, would use again, in a heartbeat. I went to Mike for some help on a personal matter which I felt he did a great job. He was very professional and always kept me updated with any new information in regards to my case. He put in a lot of effort and was very accommodating with the hours that I requested for him to work on my case. I appreciate Mike and all his hard work and dedication. I would definitely recommend him to anyone who needs a Private Investigator and if I ever need him in the future, he will be the first to call. Thanks again Mike!